How does a car company improve on an already quick-selling car? Easy. Don’t mess with the recipe, which is what Chevrolet has done with its updates for the 2015 Cruze, set to debut at the 2014 New York Auto Show later this month. 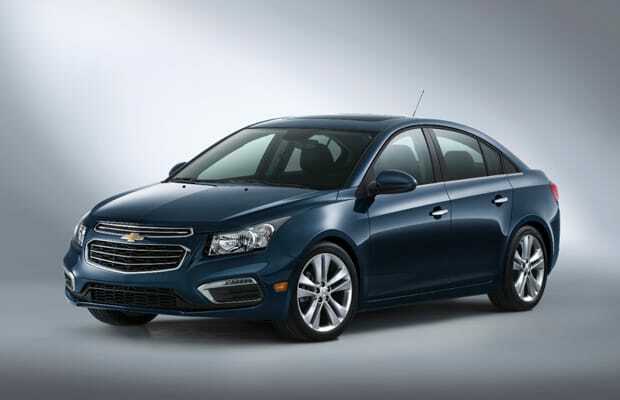 The Cruze received a bit of Botox on its front fascia to merge styling closer to its larger Malibu and Impala cousins, and the new model will benefit from daytime running lamps in LT and LTZ trims. But that&apos;s pretty much the extent of changes on the outside. Look inside and you’ll start to find a few more substantial upgrades. Chevrolet offers a new feature that reads incoming text messages through the car’s speakers and includes Siri Eyes Free for enhanced voice-controlled connectivity for the iPhone. But most compelling of all is the Cruze’s 4G LTE OnStar system, which enables a mobile Wi-Fi hotspot for the driver and passengers. It might not be an exotic new dish, but it is recipe we quite enjoy. RELATED: GM Is About to Give us a Hatchback, a Van, and a Buick "Beautiful Panamera"